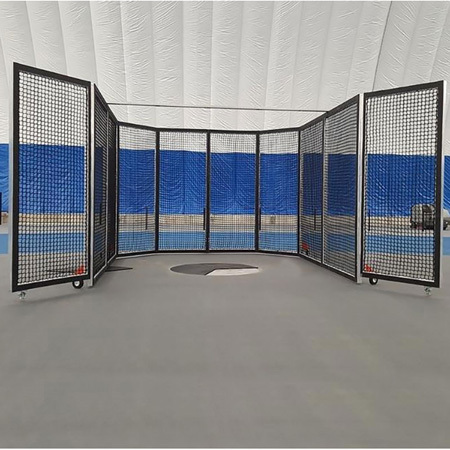 Our portable indoor cage has been designed to maintain a constant protective height of 12', but custom heights are available upon request. New! Now Included: Five (5) Outrigger-style Wheels keep cage raised permanently (1-1/2" off ground) to help facilitate everyday moving.